So, the Klaustur debacle from a couple of months ago continues its slow and steady march into eternal ignonimy. 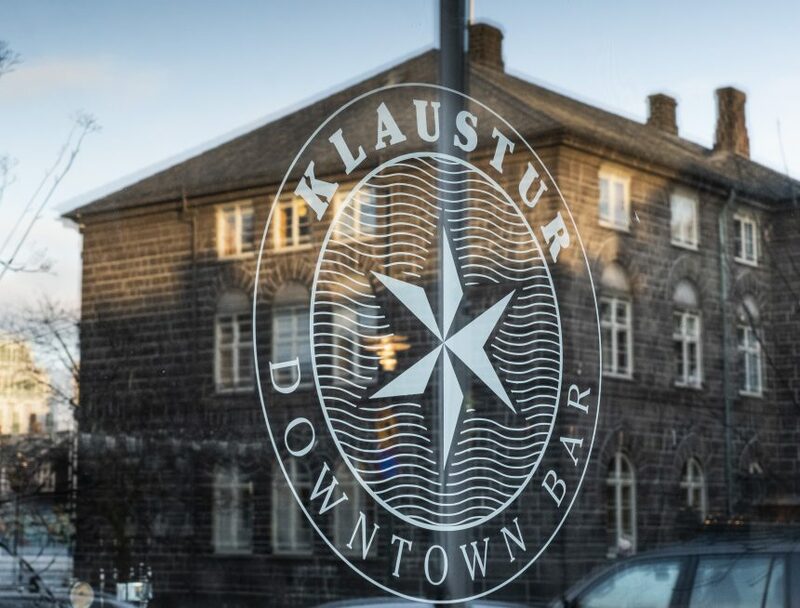 For those who have not been keeping up, the incident to which I refer is one that took place at the bar Klaustur in downtown Reykjavík late last year, where six MPs played hooky from work, proceeded to get plastered, and spewed abuse and obscenities about women and minorities, loudly and belligerently, for three solid hours. Unbeknownst to them they were recorded by an inconspicuous guest who sat in the corner – and those tapes were subsequently released to the media. Suffice it to say that the whole affair exploded into Top Scandal of 2018, with surveys showing that 90 percent of the nation wanted the posse of six to resign their parliamentary posts stat. 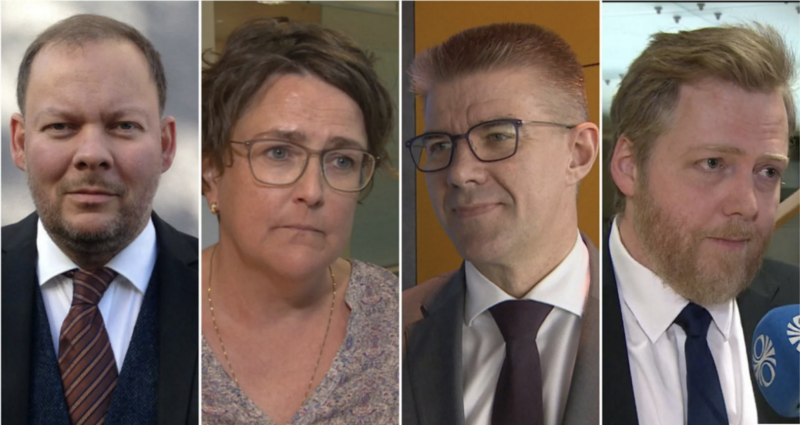 To drive home their martyrdom, four MPs who all belonged to the Centre Party (led by disgraced ex-PM Sigmundur Davíð Gunnlaugsson) quickly started making plans to sue Bára Halldórsdóttir, the disabled queer woman who recorded their drunken rant, for invasion of privacy. (As fate would have it, she also happened to belong to all the minority groups they were slandering, so she was understandably pissed – hence her three-hour-long vigil in the corner of the bar listening to their tirades, with her old, broken, Samsung Galaxy turned to “record”.) Their case had no legs, as it turned out, and was thrown out of district court. They then appealed to the next judiciary level (Court of Appeals), which also threw the case out and ordered them to pay all legal fees. There was some question as to whether the two upstanding citizens who discharged the most salacious abuse would return from the unpaid leave they decided to take immediately after the scandal broke. Many people predicted that they would not – that their reputation was just so tarnished that they would never have the cause or gumption to return to work. Of course they came back. And why? Because, by their own accounts, they had no choice. They were forced to, in light of the gross miscarriage of justice that Alþingi – Iceland’s parliament and cradle of democracy – was about to engage in against them. Let me back up slightly. Ever since the scandal erupted in November, Alþingi has been struggling to figure out how to cope. I’m not an expert in the legality of these things, but from what I understand nothing like this has ever come up before. In fact Alþingi only created a code of ethics for itself last year (!) meaning that its newly-appointed ethics committee has never had to address anything of this nature. Or, well, anything at all. So apparently the first thing that needed to be done was for the Speakers Committee (one of Alþingi’s standing committees) to review the case, with a view to formally passing it to the Ethics Committee. At which point it turned out that none of the members of the Speakers Committee were qualified for the task, since all had expressed their opinions of the Klaustur upfuckery previously, and so could not be considered objective. That stalemate could only be ended through the election of a new committee, which required some acrobatic wrangling concerning rules of procedure. New legislation had to be passed, which all MPs, with the exception of the six involved, accepted unanimously. To this the poor Klaustur victims cried bloody murder, citing an abuse of power specifically designed to bring them down. The one individual who spouted the most disgusting remarks by far (about the Minister of Education, who is a woman) is even returning to chair one of the standing committees, despite the express wishes of a number of committee members that he step down – from that post at least. But no. He stubbornly, indignantly, maintains his unequivocal right to carry on as before. The latest twist in the farcical defense of the fabulous four of the Centre Party came today. Since they have lost their bid to sue Bára in a proper courtroom, they are seeking to lodge a formal complaint with the Icelandic Data Protection Authority, with a view to slapping Bára with a massive fine. To that end, they maintain that she, Bára Halldórsdóttir, sat in the corner recording them on that fateful night … wait for it … disguised as a tourist. A remark so loaded with implications and meaning that another entire treatise could be written just about that. If there is a moral to this story, surely it is this: Give a man rope that is long enough, and he will hang himself. At least when that man (or woman) is a d****bag from Iceland’s Centre Party. The post above (with the exception of the last four paragraphs) was sent out at the end of January as part of my monthly newsletter. Don’t want to miss out on any of Iceland’s sorry scandals? Subscribe to my monthly missive below.